Call 540-300-1453 to schedule your first appointment. Learn more about hearing aids in Fredericksburg, VA, and see how you can start hearing the world more clearly again. Whether you’re struggling to hear your spouse or you keep turning up the radio in your car, Miracle-Ear® can provide you with a free hearing test* so that you can see what level of hearing loss you’re struggling with. There’s more to any hearing aid than a simple box that amplifies sound. Our hearing aids are more comfortable, and we have several different styles so that you can find a fit that feels great. Our state-of-the-art hearing solutions also use innovative algorithms to learn your preferences and adjust to your needs. When you visit our hearing aid center, you’ll receive our personal attention along with caring and courteous service. We also stand behind our hearing aids with an unprecedented three-year warranty**. Our goal will be to provide you with a quality hearing solution that allows you to hear the people and sounds that are important to you without feedback or other interference. We’re happy to offer free annual hearing tests* so that people in the Fredericksburg area can catch hearing loss at an earlier stage. We encourage you to make an appointment for an exam if you have ringing in your ears, a history of hearing loss, or medical problems like diabetes. The hearing care specialists at Miracle-Ear will help you monitor your hearing levels, and we can help you choose the perfect hearing aid when the time comes. Call to learn more about our services, and discover and experience the Miracle-Ear advantage. 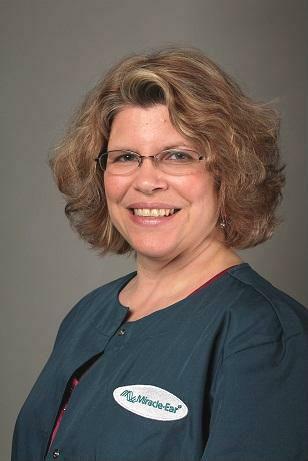 Dianne, a Miracle-Ear Certified Hearing Specialist, joined the Fredericksburg and Tappahannock offices in March 2016. 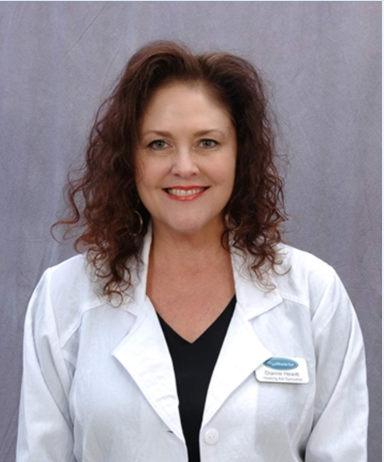 Her previous professional experience, in the healthcare industry, includes: phlebotomist, emergency medical technician, certified laser specialist, and licensed esthetician. With years of experience, compassion and a desire to succeed, Dianne will be the perfect match for you and your loved ones' hearing needs. Dianne believes, "There is nothing better than watching patients' faces light up when they hear for the first time in years!" A native to the area, Dianne was born in Washington, DC, and raised in Arlington. She currently resides in Stafford. Jennifer grew up in the beautiful Adirondack Mountains of Upstate New York and has lived in Fredericksburg for over 15 years. She has been happily married to a former Marine for over 25 years and is the proud mom of two grown sons, one of whom is a member of the Virginia National Guard while the other is a United States Marine. She loves football, reading, volunteering at her church, and spending time with her family. Although Jennifer is fairly new to the hearing industry and to Miracle-Ear, she has worked in customer service in some capacity for several years. She loves working for Miracle-Ear because it gives her an opportunity to work with many terrific people and help them improve their daily lives. She says, "It's wonderful when patients tell me how much they love their new hearing aids and share how their lives and the lives of those close to them are changed for the better. It's an honor and a privilege to be a small part of that."